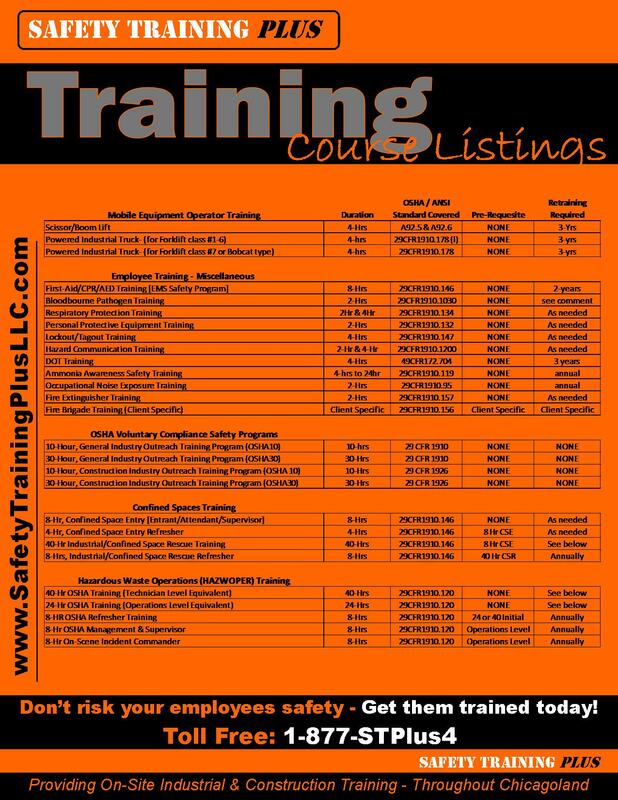 is a very specialized team of professional safety instructors, providing (OSHA/ANSI compliant) industrial and construction training for groups and individuals. We are a completely mobile company; providing the safety training and instruction at YOUR place of business or jobsite with YOUR equipment. As former equipment rental territory managers, we were exposed to the dangers of various construction jobsites & manufacturing facilities, and recognized the unanswered needs for appropriate operator and employee training. Our training offerings began with Mobile Equipment exclusively but very quickly we realized that we must provide a full range of training services that our customers require. These courses are delivered by 10 skill-specific, highly qualified trainers. Our services also include safety program development/consulting and on-site rescue teams are available. Our core business is preventing incidents by enlightening operators, providing thorough safety training and ultimately saving lives.